Park Shin Hye International Fanclub | 박신혜 국제 팬클럽: [NEWS] Park Shin Hye in Singapore, talks about "Festival"
Korean Hallyu star Park Shin Hye attended Ferragamo fashion show in Singapore yesterday. The friendly actress waved, smiled and signed for fans. 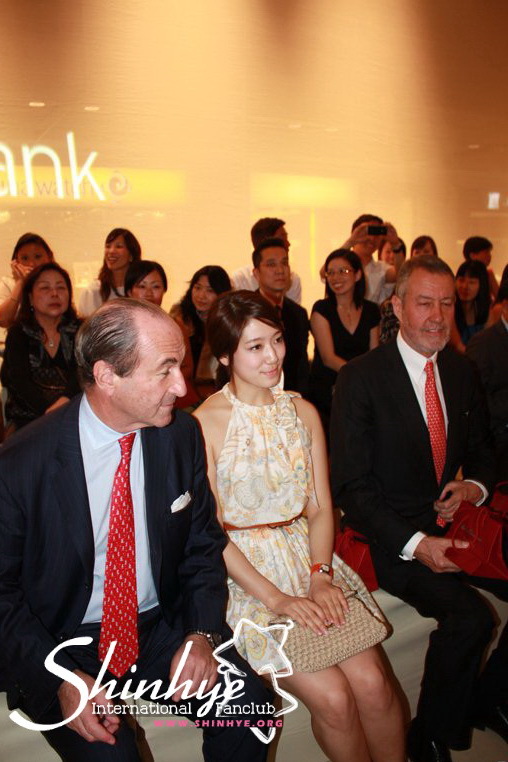 At 7:45pm, Park Shin Hye, accompanied by the CEOs of Italian designer label Ferragamo, appeared in Paragon Atrium. After walking on the red carpet, Park Shin Hye toured around the Ferragamo store, accepted interviews by the local media, posed for photos and watched the fashion show. She was dressed in a summer halter dress designed by Ferragamo. Many fans went to the venue to support the beautiful actress. After walking the red carpet, Shin Hye posed for the media and fans in front of the red Ferragamo event board. 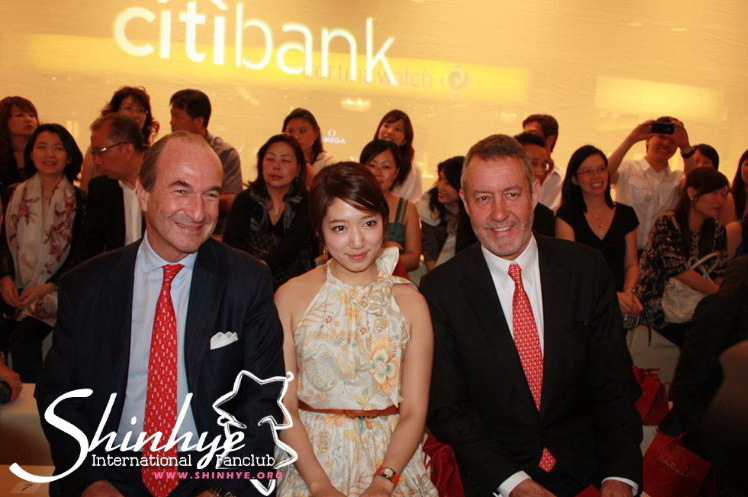 She was accompanied by Ferragamo CEO Michele Norsa (right) and Director of Li&Fung group Jeremy Hobbins (right). Shinhye is stand out and very beautiful. I love the overall look. The dress and hairstyle suits her. I hope Shinhye would wear these kind of dress more often. She's super feminine and lovely. Thanks for all the updates. You're fast guys and wonderful =) keep it up! Ά nature beauty! Without any thick makeup, she still look beautiful n not as skinny as many korean actress. Wow it seems that the Ferragamo exec and ceo really like Shinhye. Goood for you ! You deserve all the love!